This is the 27th conservation area to be designated in the city. It was designated in November 2002. The notes which follow are by Frank Sharman. Much of the information on the history of the site has been taken from the officers' report to the council, on which the designation was based. This report was prepared by Ros Doran. 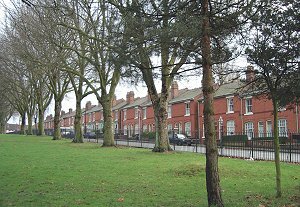 The designated area consists of the houses facing Fellows Street, Fellows Street itself and the recreation ground bordered by Fellows Street, Upper Villiers Street, Drayton Street and Pool Street and its continuation, Stanford Road (but excluding the streets themselves). The recreation ground seen from the north west corner with Fellows Street beyond. The iron railing are by the Wolverhampton firm, William Hayward & Co. Originally they had spikes on top but some safety fanatic has removed the spike from the top of each and every railing. The main purpose of the designation is to conserve the character of the area. 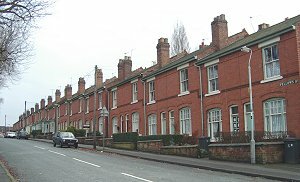 The houses in Fellows Street are largely unchanged since they were built and, despite the row containing two slightly different designs of house, they make a coherent terrace. The recreation ground provides a green area (of about six acres) and a substantial number of large trees, both of which are in short supply in the immediate neighbourhood. The square as a whole presents a pleasant scene, despite the presence of industrial buildings on the Drayton Street side. In the 19th century most of the land in this area was owned by the Duke of Cleveland and the tithe map of 1842 shows the whole vicinity occupied by enclosed fields (not open fields as the WCC report suggests). Fellows Street seen from Pool Street. The trees are London Planes. The slope shows the rise in the land which becomes Goldthorn Hill. The land on which the Fellows Street houses were built passed from the Duke of Cleveland to the Right Honourable Henry de Vere, Baron Barnard (later Lord Barnard). In 1911 Barnard sold the site of the houses to a local businessman, Arthur Griffiths. The houses were built about 1913. The street may have been named after James Fellows, a local industrialist, who may have been associated with Griffiths. The houses were built in blocks of four, with the slightly higher class houses (the ones with bay windows) higher up the hill. Note that from the chimneys to the front garden walls very little has changed since the houses were built. 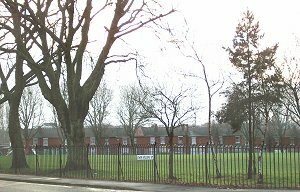 The recreation ground land was part of Cleveland's estates and passed to Barnard on Cleveland's death. In 1911 Barnard sold it to Wolverhampton Borough Council for £2,904. The Borough bought the land under s.188 of the Wolverhampton Improvement Act 1869 which enabled the council to acquire land for the purposes of a park. The council also agreed to pay one half of the costs of making up the surrounding streets, which strongly suggests that Barnard had drawn up a development scheme for his land in the area and was selling it off in lots for residential or industrial development. The council also undertook to erect a substantial, unclimable, iron fence at least four feet high, on all sides. A block of two of the slightly lower class house but still with front gardens and detailing in the brick work of the front house wall. Two ( from a bock of four) of the slightly higher class houses, with canted bay windows. Unlike the pair shown above their front doors have been changed; but otherwise they, like many others in the row, are unaltered. This part of Wolverhampton was developing at the end of the 19th century and the beginning of the 20th century but the available maps, and the remaining houses, show that the development was scattered and sporadic. The Fellows Street houses would, for many years, have been the only houses for some way. There seem to have been several such isolated streets in Blakenhall to the south of this area. Originally there would not have been much industry except to the north, though not far away to the south was the Niphon Works, a very large works for its time. During the first half of the century the surrounding area became filled up with an apparently random mix of housing (much of it seeming to date from the 1930s) and industry. Sunbeam, Villiers and AJS all established very large works to the south of this area. The AJS factory has completely disappeared under the Safeway supermarket site; part of the Sunbeam works are now a temple. But the rest of Sunbeam and Villiers are now used as industrial estates. So far as is known no other parks, or recreation grounds, were provided in this area and there seems to be no information on why the "Graiseley Recreation Ground" (as the council chooses to call it) was created. This almost formal square stands out in its immediate area and is also unique in Wolverhampton. The houses in Fellows Street are remarkably well preserved and little altered, which also makes them apparently unique in Wolverhampton. 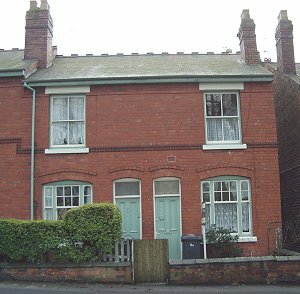 They provide an interesting surviving example of the type of house which was widely provided for the upper working classes or lower middle classes. They were once abundant in Wolverhampton but are now rarer, especially in an unaltered state. 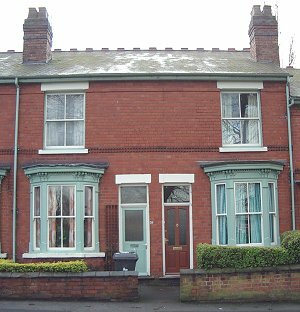 Most such houses were good enough to survive the slum clearances of the 50s and 60s and, accordingly, to suffer the alterations to their appearance which usually resulted from being designated as a general improvement area or housing action area. 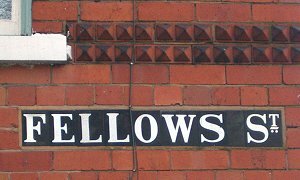 The original street name plate made up of ceramic tiles; and the string course made of moulded brick.